Everyone wants to look their best during the holidays, but with busy schedules we're often too busy to keep up with our appearances. Thanks to these top non-invasive treatments, you can spruce up your look in as little time as your lunch hour. 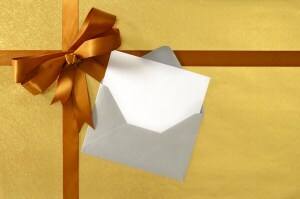 Give yourself the gift of self-confidence this holiday season with one of our most popular no-downtime treatments. Popular wrinkle-reducing injections such as BOTOX® Cosmetic, and dermal fillers like JUVÉDERM® XC and JUVÉDERM® VOLUMA XC have no associated downtime and can rejuvenate your appearance with praising results. If you're interested in trying injectables for the first time, there's no better time than now. Results look their best generally a week after treatment and are long lasting. You'll look radiant in holiday photos with your family and friends. 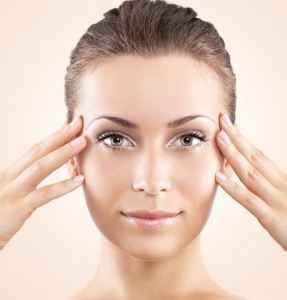 It's possible to turn back the hands of time with a face lift that doesn't require any incisions or scarring. This procedure is performed in-office and takes less than one hour to complete. This procedure is custom to each individual patient's needs and can help patients' appear younger, brighter and radiant. Laser resurfacing can stimulate the growth of new skin cells and boost collagen production in the face. The results produce a younger looking and smoother complexion. The winter is a perfect time for laser resurfacing because immediately following the procedure, skin is sensitive to sunlight and is slightly swollen and pink. After approximately 5-7 days, patient's complexion settles. This procedure can be repeated every few months for optimal results. A photofacial is another laser skin treatment that can remove bumpy patches in the skin and correct discoloration. Photofacials can also reduce the prominence of spider veins and broken capillaries in the face. The V-Shape™ Body and Face lifestyle solution using radiofrequency technology to refresh not only your face, but areas of your body as well. This treatment concentrates on helping patients achieve their best version of themselves. V-Shape can tighten problem areas of cellulite, sagging double-chins, smooth out skin to reduce the appearance of wrinkles, and produce an over all firmer, more youthful appearance. Interested in Jump-starting Your Appearance this Holiday Season? Contact Dr. Funt.